The attack submarine S 636 launched at Brest in June 1957 and commissioned in July 1959 is interesting from several points of view. 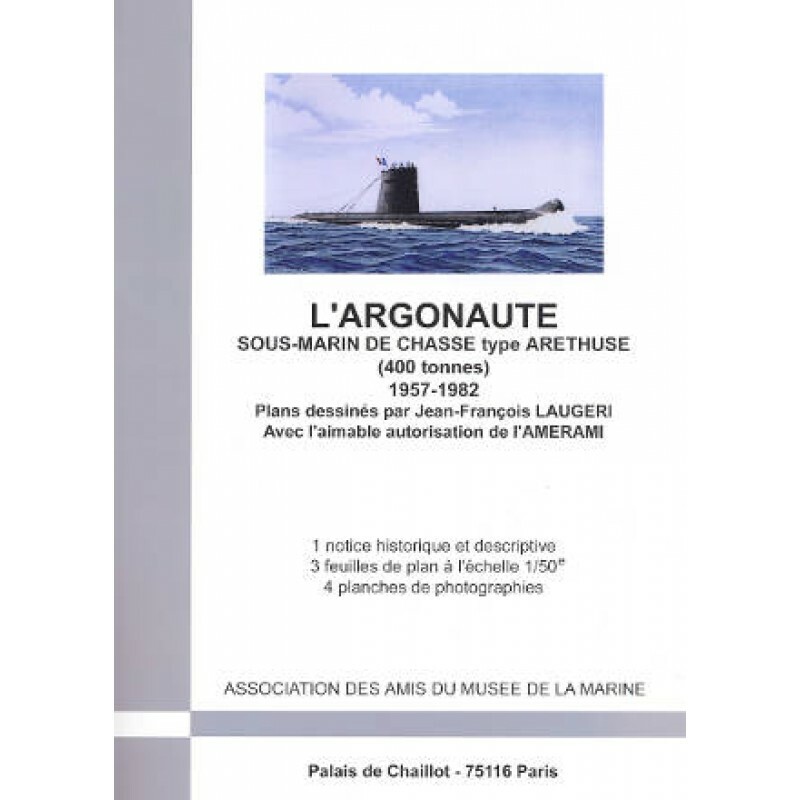 First of all because of its own qualities, but also for its value as an example in the area of preservation of the maritime heritage, and as a demonstration of what the French industry and the National Navy are capable of producing. 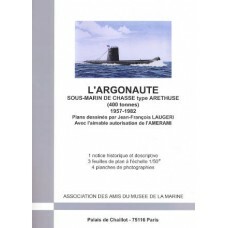 Besides the outer aspect, This monograph provides, thanks to the sectional plan, a look at the inside of the submarine to discover all its organization. Finally, is not a study of a ship that has disappeared, but a description of an existing vessel that is open to the public and has been preserved thanks to the care of the AMERAMI, in the condition she was in during her last mission. Armament: 4 forward torpedo tubes, storing eight 550 mm torpedoes. Crew: 6 officers, 34 non-commissioned officers, quartermasters and men. Monograph consisting of three sheets of plans at the 1/50th scale, four plates of photographs, and an instruction booklet.